Just when we thought we couldn’t get more excited about our impressive scholarship roundup this year, we got the news that we’ve done it again — our Spider scholars have set a brand new record. A total of six students have received prestigious Gilman scholarships to study abroad, which is the highest in our school’s history. 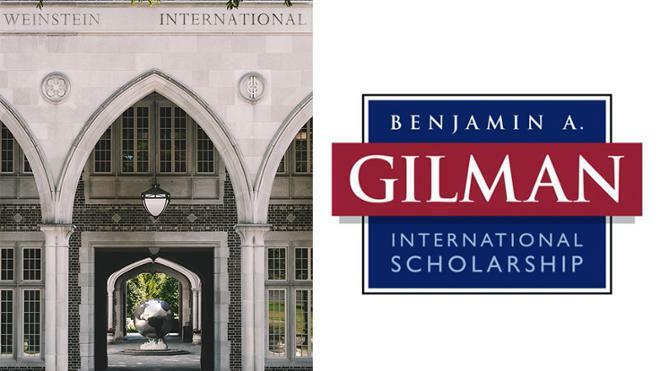 The U.S. Department of State’s Benjamin A. Gilman International Scholarship is open to U.S. citizen undergrads receiving Federal Pell Grants. Our previous record was five recipients in 2011–12. With their Gilman awards, the following Spiders are heading abroad to immerse themselves in their studies. Senior Cherelle Cotton is participating in the Summer Contemporary Netherlands Studies course in Amsterdam. Senior Natalie McCray is studying abroad in Stockholm, Sweden, and interning for the nonprofit Emmaus Stockholm. Junior Freddy Espitia is studying abroad in Japan, taking part in intensive language instruction and an independent service project. Junior Alice Vo is heading to China this fall. We’ve already told you about senior Rylin McGee who spent her spring semester in Irkutsk, Russia, completing a special program focused on environmental studies, as well as senior Tyler York, who is participating in the Jepson at Cambridge program at the University of Cambridge this summer. We are thrilled for these scholars and wish them well as they head abroad!